Home » vinyl wrapped » School Is Back In Session!! We already had our first assignment for the new school year: designing, printing, and installing this textured 13’ x 11’ wall graphic for Marian High School! 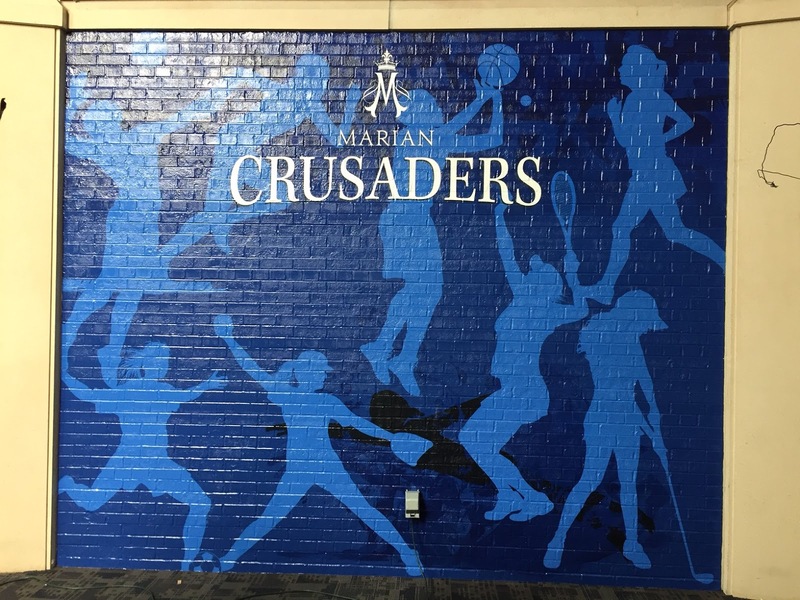 Curzon designed, produced and installed the above custom wall graphic specifically for Marian High School. Marian has designated this as their “Hall of Fame” wall and has plans to mount a large screen TV in this area as well. This will then be used to honor their “Hall of Fame” students throughout the year. Applying this image to a brick wall took a little creativity, a little heat and just the right material to maintain the textured look of the wall. It was a challenge for us, but we are always up for a challenge and couldn't be happier to help Marian celebrate their students!